In addition, the AR410 has been integrated with fly-by range telemetry that includes flight log and receiver battery pack voltage data. 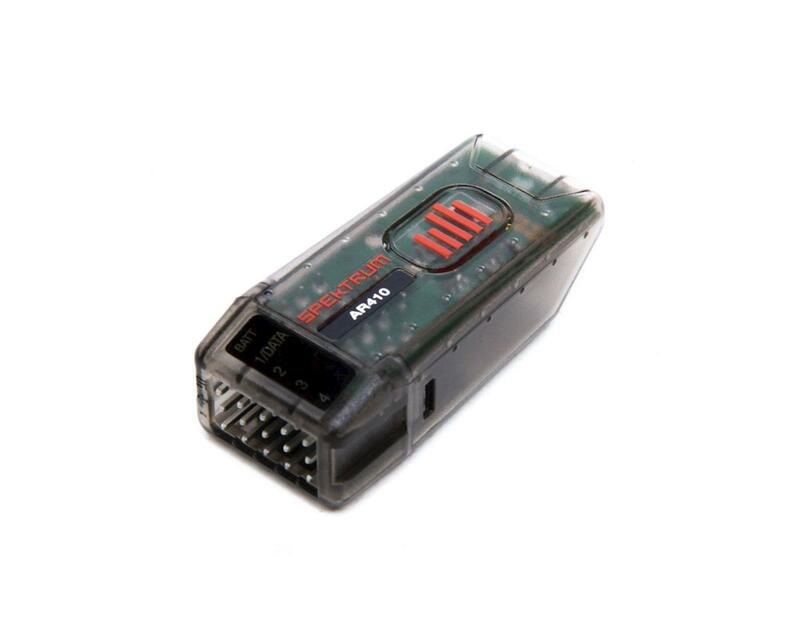 Access to telemetry is automatic when used with telemetry-capable Spektrum transmitters. There’s nothing to do in order to enjoy the peace-of-mind instantly knowing receiver battery voltage offers. So Far I have had no problems with it. I am amazed by how small this thing is. About the size of a typical USB flash drive. No external antenna, this thing is awesome. I know a lot of people don't like that the channel ports aren't labeled for purpose and though this would have been nice, it only took me a couple minutes of plugging and trying the transmitter to figure out what went where. Not a deal breaker for me by any means. For your convenience I'll list them. Well I purchased this receiver thinking it would have a label on the receiver showing what plugs into each pin. Big surprise nothing is labeled and now it is worthless to me. Question: Does anybody take the time to look at the designs?